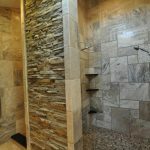 Using natural stone as the main structure of shower walls is excellent idea for you who want to add spa luxury in your private shower space. 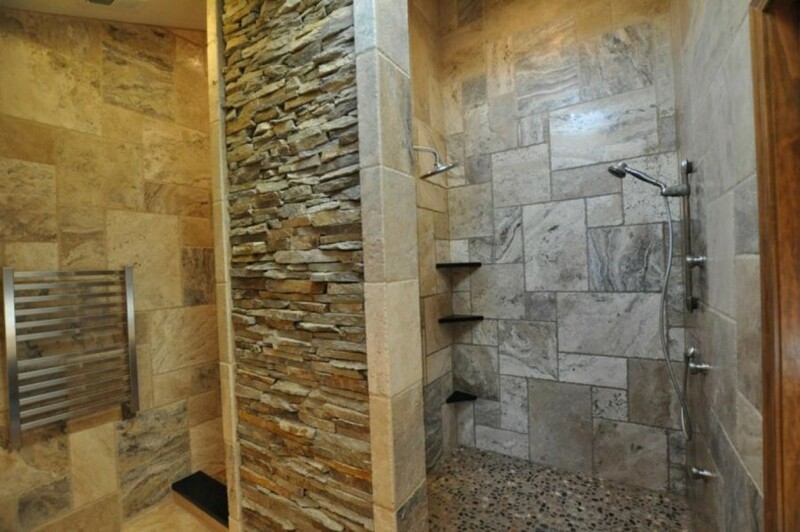 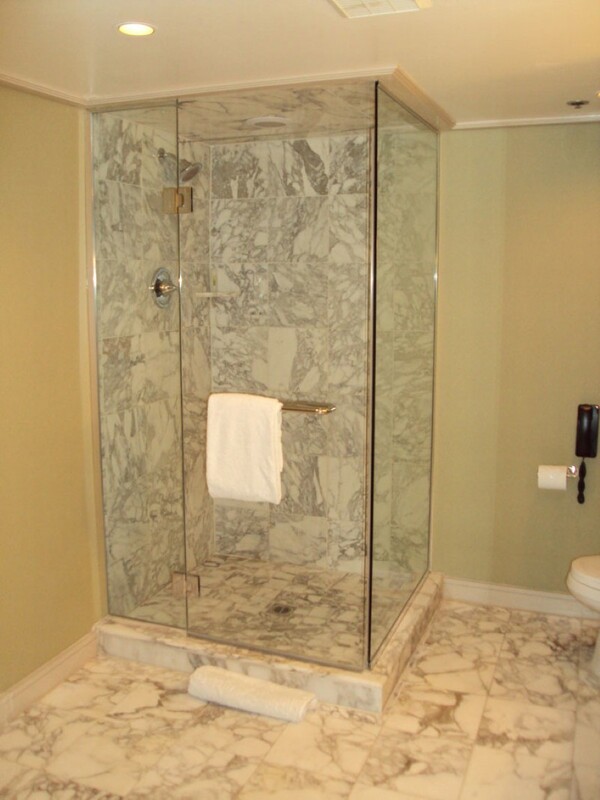 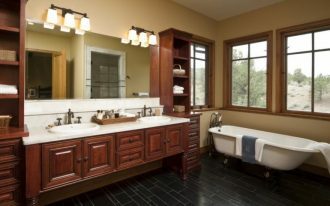 The natural stones have been the most favorite private shower wall finish and commercial spa. 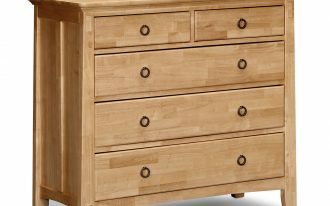 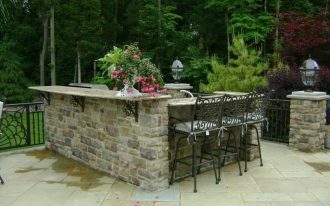 They give high value of aesthetic and durability. 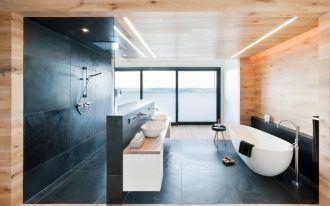 They also offer high qualities. 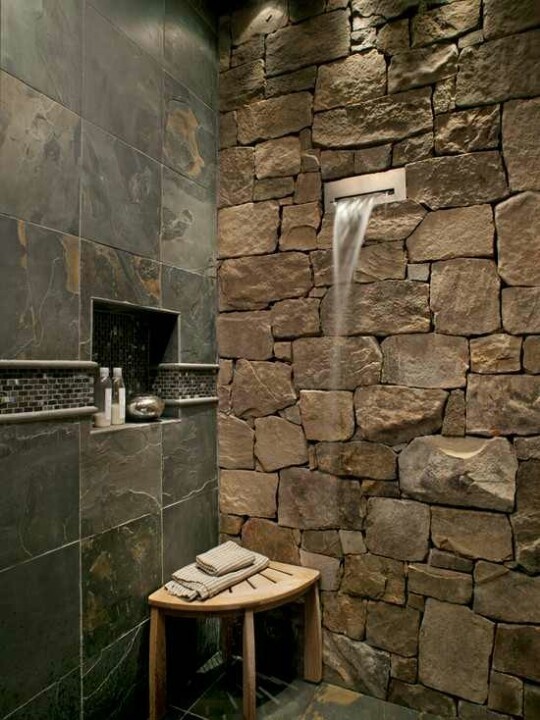 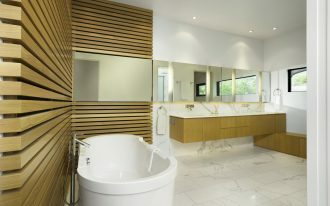 Stone shower walls taken from commercial spa wall ideas is possible to apply in private bathrooms. 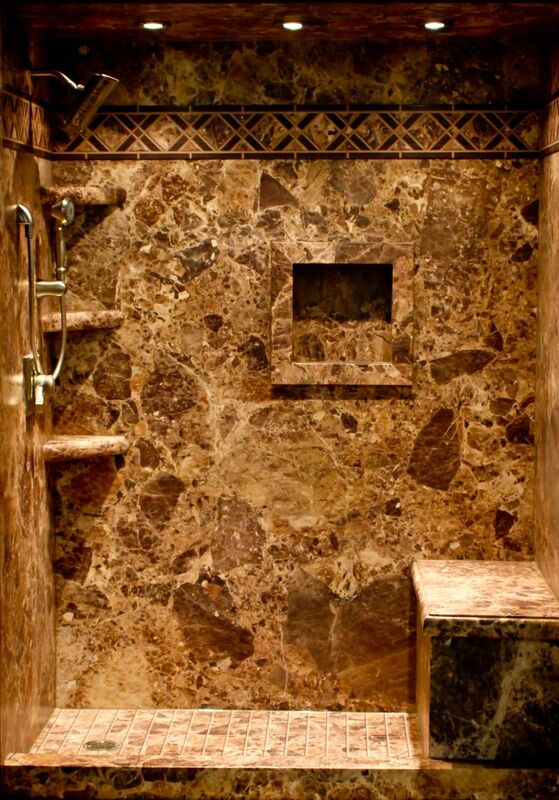 With advanced waterproofing technology, you now can have fully water-proofed substrate to support any natural stones tiling. 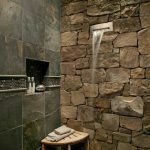 It means, these natural stones can be installed by using the thinset bed approach. 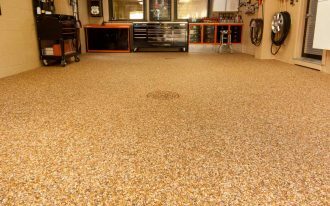 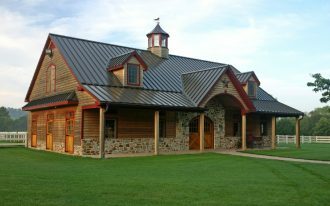 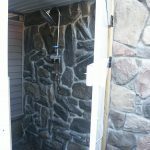 The water-proofed layers can prevent water intrusions over the cement-cover substrate. 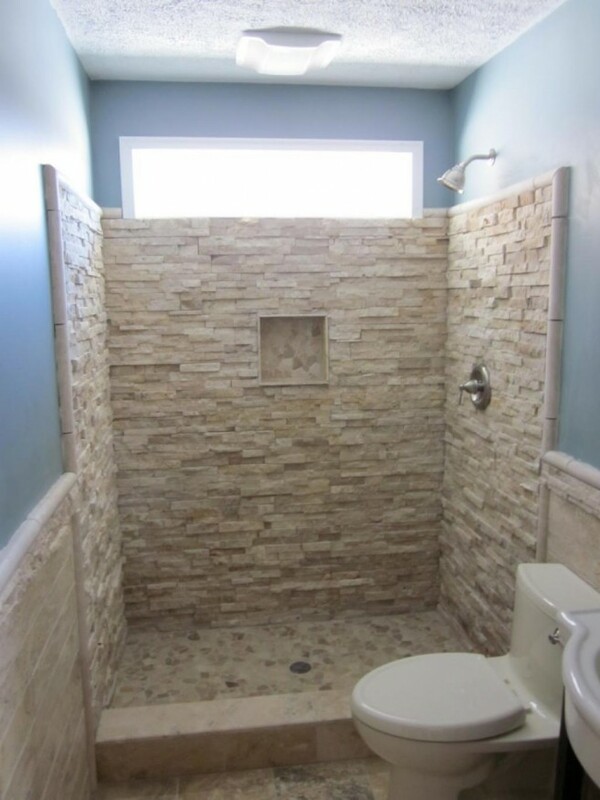 Besides, the layers are able hold the water entering the wall cavity. 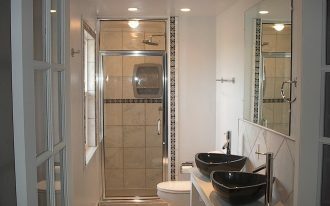 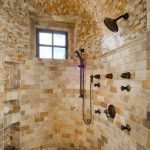 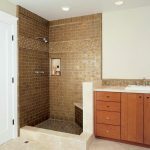 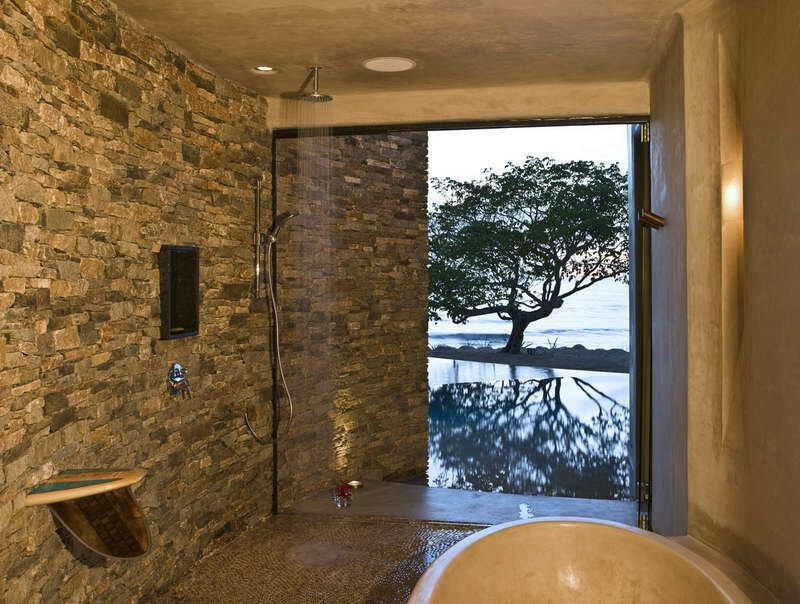 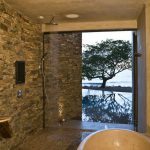 Before applying stone shower walls idea, you have to consider these things. 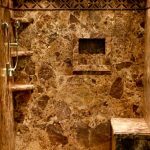 The natural stones used for a shower should be sealed with the best quality of water based sealer. 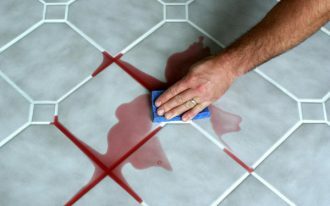 Give the regular intervals for each sealer. 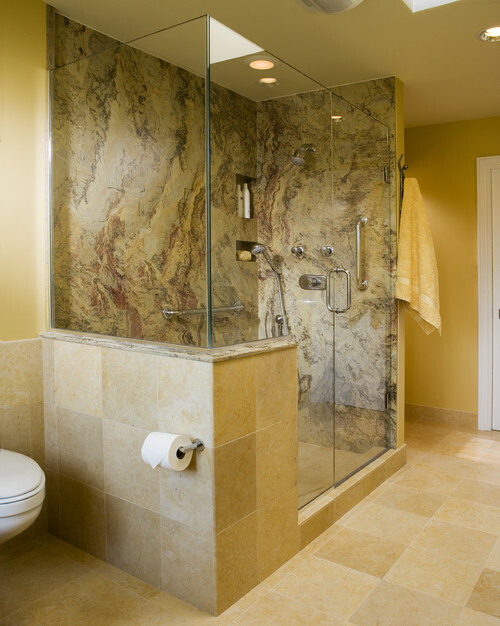 To keep the natural stone tiles wall system clean and shiny, clean them up regularly by using detergent or other tiles/ floors cleanser. 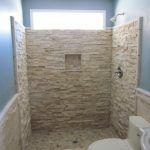 Use stiff plastic brush if needed to clean the walls up. 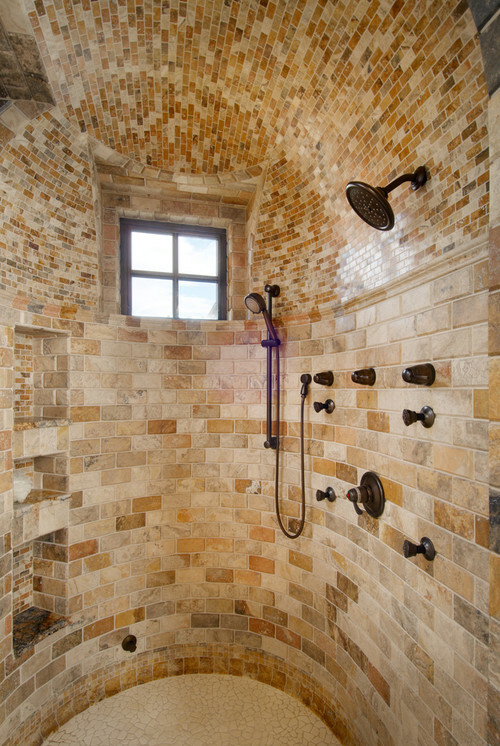 To reduce or to evaporate the moist air, you can use a fan installed in ceiling of shower space. 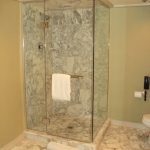 This is so helpful to dry up the shower space faster after being used. 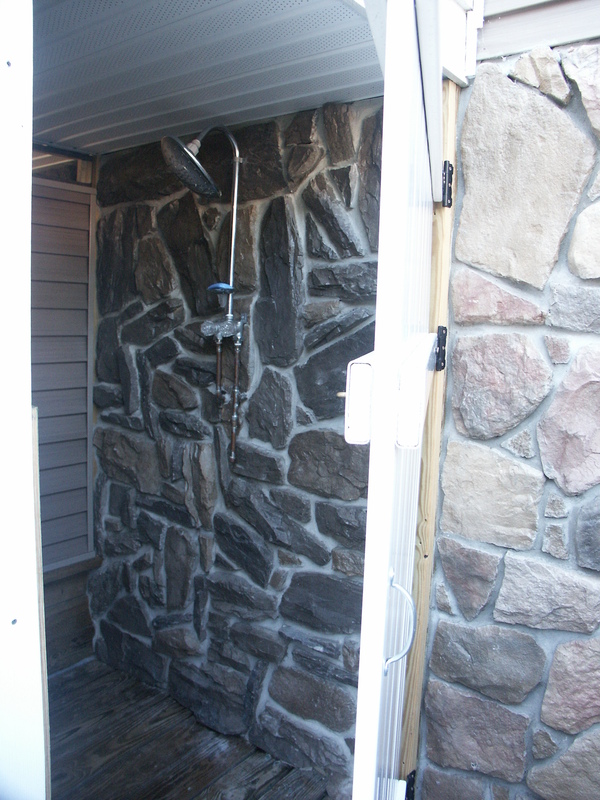 Keeping the shower dry also will keep the stone shower walls clean.